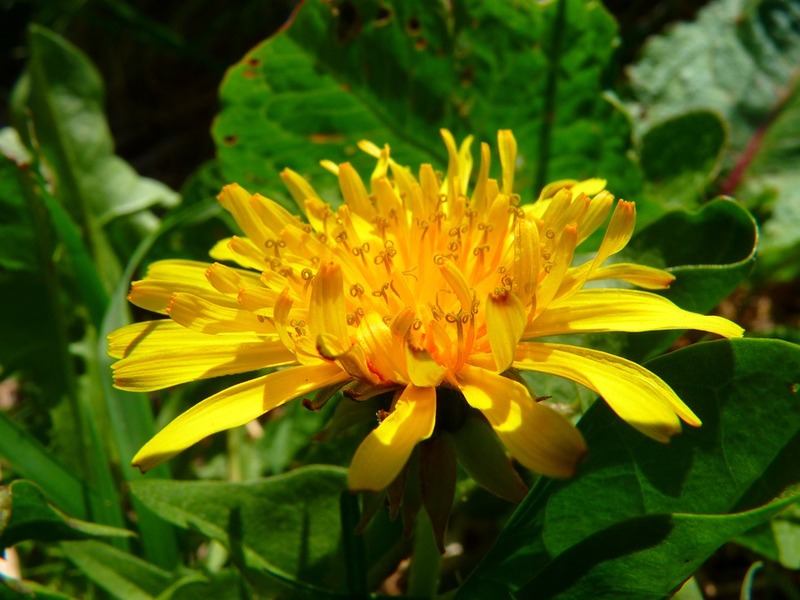 Before you pull up those troublesome weeds from your garden, it may be worth remembering that this common small herb with its sunny yellow flower is a valuable stimulant and general tonic. Covering so much of our world, perhaps it’s a hint from Mother Nature that everyone has a need of this little plant. Dandelions are members of the short sunflower family and have a very balanced mineral profile, high in potassium, A, B, C and D. Most of this plant can be eaten, the young leaves in salads, juiced or boiled up to make tea. It will clear the blood and lymph and detoxify. You will find pages of benefits from this almost indestructible ‘weed’, from acne to varicose veins. Recent studies at the University of Windsor in Ontario have found that the root extract has successfully and safely treated certain cancers. The bitterness of its leaves make it good for digestion. Roasted dandelion root is a well-known caffeine free coffee substitute. The root can also be eaten as a vegetable. Although the flowers don’t look edible they have a rather mild flavour and are quite sweet. They can also be infused in oil and used as a salad dressing. If you have a headache eating a few dandelion flowers can often relieve it. The milky sap from the stems was used in the past in medicines to remove freckles and age spots, to treat bee stings and even help hair grow! It’s rather good made into a Dandelion Flower Beer, pick 100 dandelion flowers, boil two litres of water, then add 100grams of light brown sugar and let it dissolve. Allow to cool, then pour over the dandelion flowers. Add a finely sliced lemon and cover the container with a cloth for a 3 or 4 days and leave in a cool place, stir occasionally and then strain into bottles and tightly cork. Your dandelion flower beer will be ready to drink in a few days. To make dandelion tea, pick the leaves, 3 to 4 teaspoons per cup or 2oz to 1 pint of boiling water. Infuse for 15 minutes, drink half to one cup freely. You can sweeten with a little honey if you wish.